The last 5 minutes are a mindfulness practice. The mindfulness practice may be used before any meeting or interaction to support you in centering yourself. Please contact Darryn at darryn@darrynsilver.com if you would enjoy a mindfulness workshop conducted at your office or other location. Isn’t it interesting that we have called what we do in our global community of exchange for goods and services: BUSINESS? It is truly reflective of the pace: BUSY NESS. Have we tended to create a hierarchy of importance for those who are seemingly busy as if there is something noble and statuesque in that space? Have STILLNESS and contemplation taken a back seat? Which makes more sense? BUSY- NESS OR MINDFULNESS? Which is ultimately more productive and supportive of states of well-being? Your answer will depend on which side of your brain through which you are dominantly perceiving. Another way to put it is, “Who’s leading? Are you taking intuitive guidance from a trustworthy place such as your heart and allowing your brain to implement? Or are you living more from an intellectual mindset? A kind of “Have to” mentality? In order to integrate willingness and notice our internal truth, we might want to give ourselves the opportunity to slow down, tune into ourselves and then, not only will we naturally gravitate towards people, places and things that resonate truly for us, but opportunities will flow to us effortlessly. We are actively participating in the creation of an optimal world for ourselves personally, professionally and ultimately globally. I like to redefine words to create new associations. To help release outdated belief patterns. Associations that support an uplifting, supportive mindset so that we carve out a deliberate pathway of our own personal delightful design. I call it Word Wealth because people respond to the way in which a message is delivered. Both professionally and personally, we can put out the same message in an infinite number of ways. People (clients, friends, family members) will tend to feel inspired to take action the more they are able to “feel into” the possibility of the expressed delivered communication. The contrary is a sense of deflation and procrastination. Everybody has a relationship with money whether they admit to it or not. The topic of Money aka Abundance or there lack of is loaded with emotional ties so, JUST FOR TODAY, let’s redefine MONEY in a way where we can create a unification. Money, in and of itself, is meaningless. It is neither good nor bad. It is a tool. Most people have a relationship with money. It is the properties that we assign to it that gives it power. Our relationship with money is tied to some sort of emotion and offers us the privilege, the visceral external experience to witness an aspect of our internal world. It is from that witnessing or observation that we might develop a heightened awareness and activate “choice” for our future. Collectively, we have agreed (for now) to utilize money as a tool. If money ceased to exist, what would we have left to put forth in the world? Our character!!! Money, or there lack of, can be (at times) a symbolic, reflective, external gesture of how openly, confidently, self-assuredly we are willing to express our authenticity and love. Let’s make it for the creative change towards unilateral love, freedom, abundance and empowerment! Use it towards the things, people, causes and ideas you cherish and want to see perpetuated. 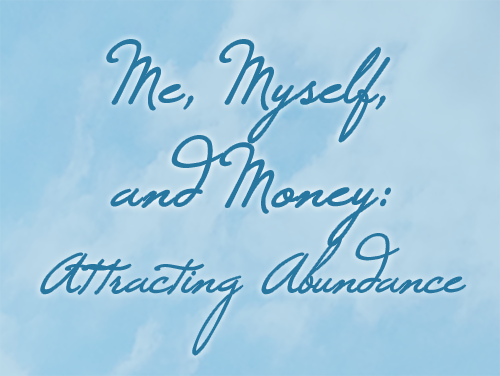 It’s easy to say “money is meaningless” from an esoteric or symbolic perspective but if you are living in a state of lack of abundance, that statement can provoke quite a reaction. If you are someone or know someone or are looking at people in the world that do not have what they “need” i.e. food, clothing and shelter, it might trigger an emotional response. What is that response? Do you feel a sensation or emotion? Is it fear that it could be you? Is it relief that it is not you? Is it compassion, sadness, pity, a sense of responsibility or none of the former stated? It’s ok if you don’t! No judgment here. Maybe we look the other way. Does that make us “bad” people? Of course not. Emotions are the fuel behind our thoughts. Together, emotions and thoughts hard wire themselves into beliefs. For example: Think of thoughts as an electro-magnetic field flowing far and wide through the air. Think of thoughts as AIR. Think of EMOTIONS as energy moving like the WIND. Wind can blow like a gentle breeze or like a strong gust. You might not be able to see the wind (emotions) but you know where it has been based on its strength, intensity and impact on an object. Depending on how intense and pervasive an emotion you have backing up a thought will determine how much you believe it and call forth it’s actualization. This is how we carry information out into the world. We have been living in a world where people tend to perseverate on ENOUGHNESS in some aspect of their lives. How much is enough? I WANT MORE! I am open to seeing the loving light in you! I see the contribution and the value you have to offer! I believe that I am worthy of an abundant world! it will collect and we will see more and more changes to the manner in which BUSINESS is conducted. There will be more and more MINDFULNESS activities incorporated in the fabric of society. It is happening now. The ship has sailed and the S.H.I.P. Signifies Hope In Progress. When you awaken in the morning, lay in bed for 5-10 minutes. Bring your awareness to your toes and scan up your body, imagining your breath reaching each body part as you lay there. Breath into your toes, calves, knees, thighs, groin, pelvis, hips, abdomen, solar plexus, heart, upper chest, shoulders, jaw, ears, nose, eyes, forehead and top of head. Notice what sensations you experience. Make a choice how you want show up for your day. What personality you want to wear. Sit for 2 minutes prior to meeting with a client. Place one hand on your heart and one hand on your abs. simply notice the cadence and rhythm of your heart beat and the quality of your breath. Nothing to judge. Just witness. This entry was posted in Blog on October 27, 2016 by darrynsilver.